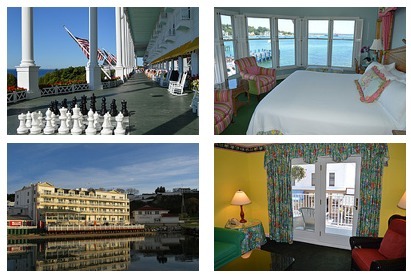 One of the best ways to visit Mackinac Island is to find yourself a place to stay on the island and experience the relaxed charm of Mackinac. This will give you extra time to take a carriage tour through the town streets and wave to the day trippers catching the last ferries back to the mainland. In the late afternoon you can stroll the streets, gaze at the colors of the sunset over the water and then catch some great evening entertainment. Our new Lodging Guide will help you find your place on the island.